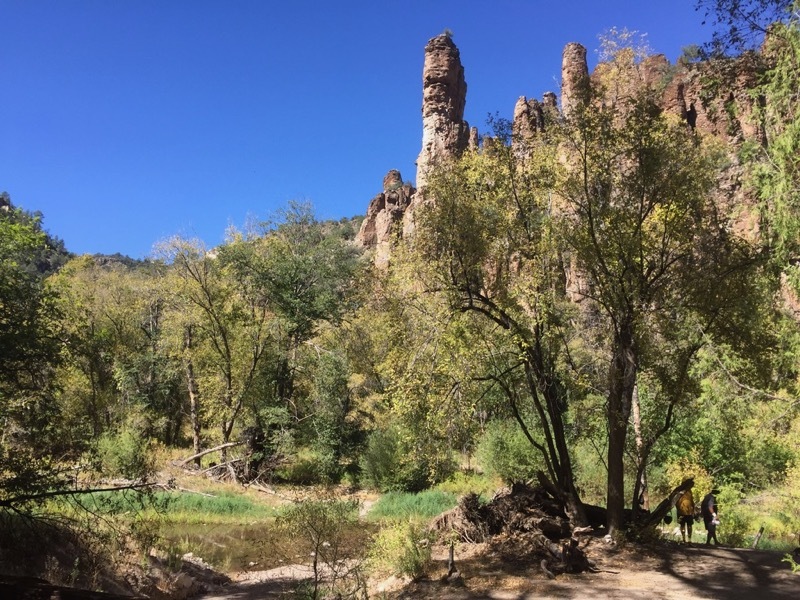 My backpacking locales have been a combination of Minnesota, where I have lived most of my adult life, and the Southwest where I moved to take a new job in 2009. I have always been a "comfort-weight" backpacker, never counting grams, but still keeping my pack as light as easily attained. Pouches of tuna are one of my go-to meals on the trail. The company is headquartered in Sausalito, California. The tuna are wild-caught, but the manufacturer does not indicate where they are fished from. The labeling indicates "Packed in Thailand". Packed raw as steaks and cooked only once in the packaging for improved flavor and Omega-3's. 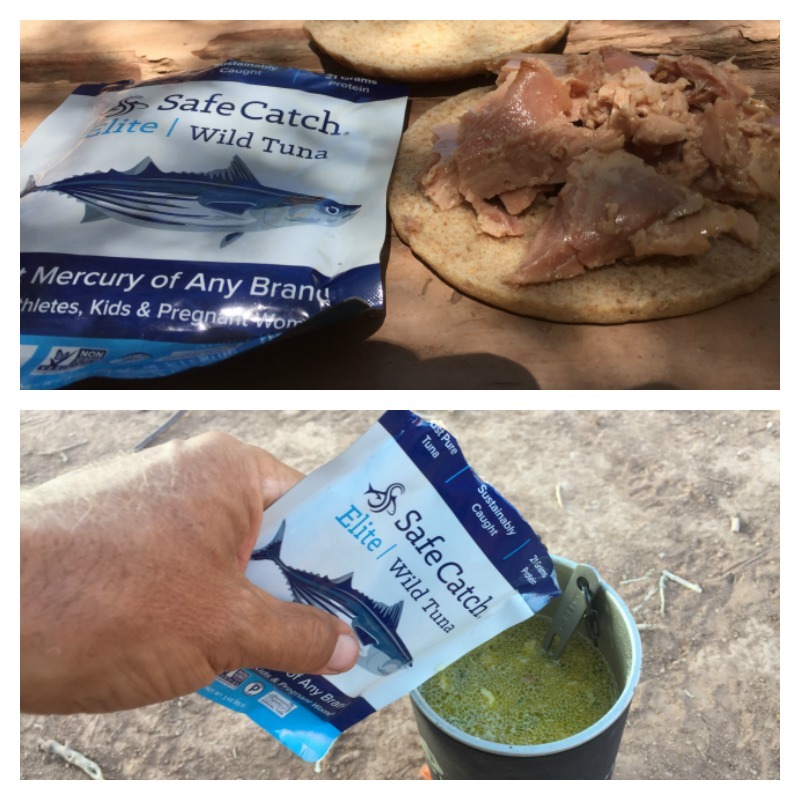 I am looking forward to get the Safe Catch Elite Wild Tuna into the field and actually tasting it. I like the ethics of sustainability, and the guaranteed low mercury levels so I don't have to worry how much I consume. I really enjoyed both of these meals. The tuna sandwich could have used some fat, maybe a packet of mayonnaise, as the tuna can be a bit dry tasting all by itself. In the seafood chowder that I made with Idahoan potato soup powder I added some olive oil (it is visible in the lower photo above), and this was absolutely perfect. The portions worked out well - one packet is enough for a lunch, and two for dinner made a filling meal for me. 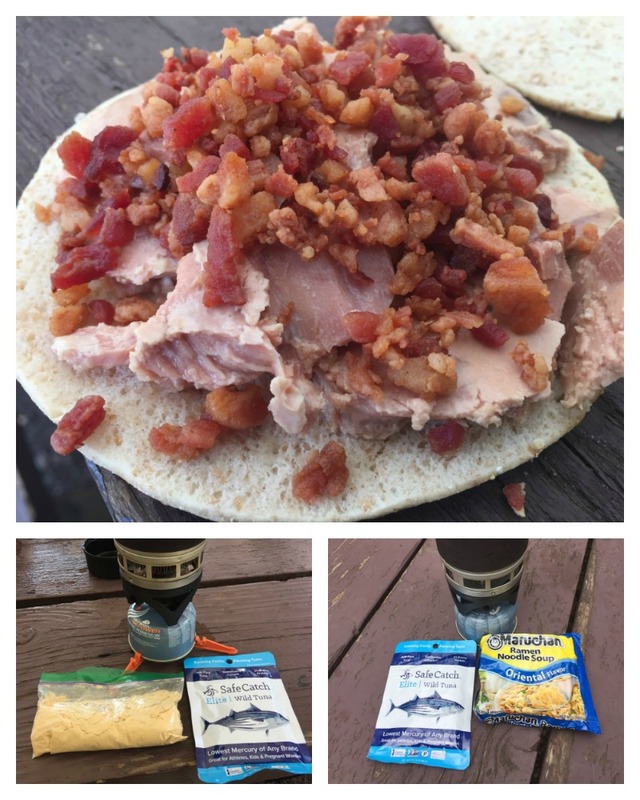 OK, OK, there's a lot of bacon on the pita with the tuna in the top picture, but I was hungry that day and it tasted pretty good. I think the tuna chowder (made with a 1/2 package of Idahoan potato soup) is becoming a staple with me. The ramen with tuna was pretty darn good - very easy prep and quite filling. All of these meals were decent. I need to find something to lube up my tuna sandwiches though - I really like tuna salad, so if I can find some single-serving mayo packets that would be just the ticket. The bacon was good, but still a little dry. This was an 8-day paddle and portage up the Falls Chain to Lake Agnes and back. We alternated lunches between tuna and peanut butter and jelly. I wish I had some mayonnaise with me to juice up the tuna a bit, but when I am paddling and portaging for 8+ hours day I will eat just about anything. The following photo shows a typical lunch break on a PB&J day - that would be me in the back, barefoot with the wide-brimmed hat. Not a bad little lunch spot! This was a 4-day "hammock hang", i.e. a car camping get-together of hammock enthusiasts. We were based out of the Long Valley campground up on the Mogollon Rim, the edge of the Colorado Plateau. 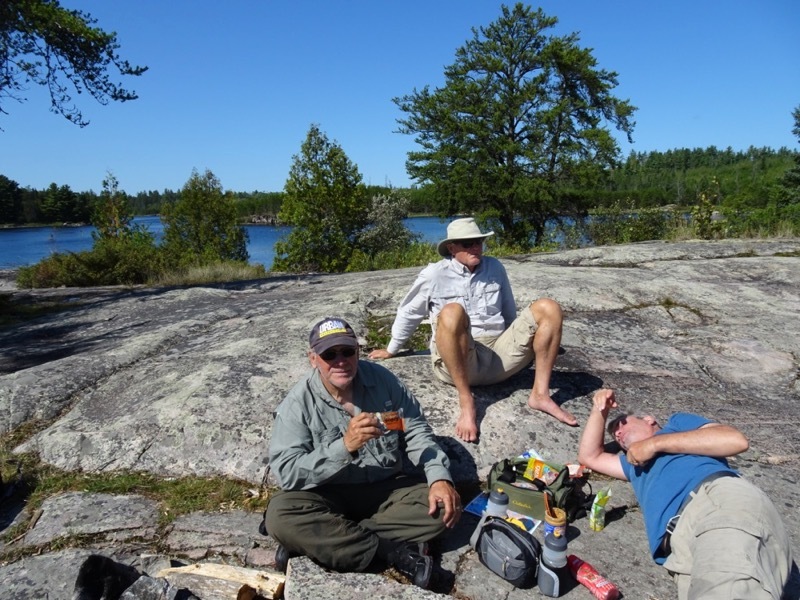 Activities included hiking, cycling, and consumption of far too much food and drink around a campfire. I made a tuna sandwich one day, and to juice it up a little bit put some leftover barbecue sauce on it. I would not recommend this combination. Not a bad lunch view! I didn't have anything with me to add fat to the tuna, but this time I did double up on the bread which made it much more tasty. I think in my prior sandwiches I had too high a tuna/bread ratio. It also made for a more satisfying lunch. 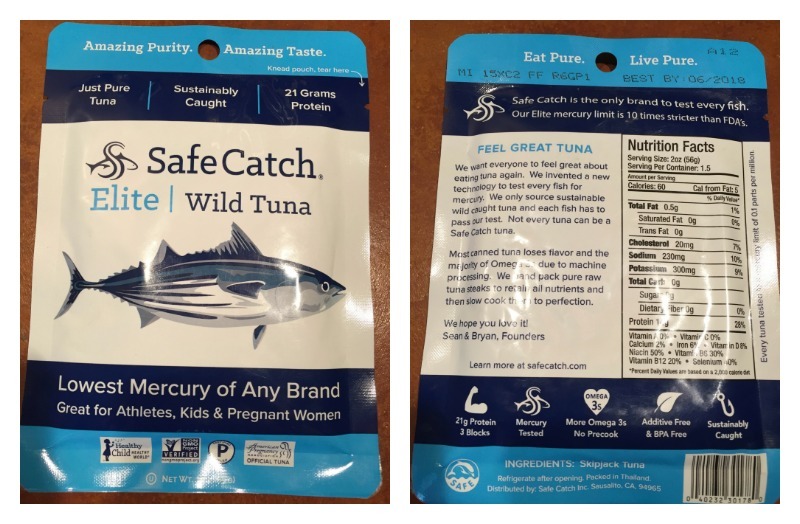 Safe Catch tuna packets can be a key component of a healthy, delicious lunch. They pack easily, are indestructible in my food bag, are easily dispensed from the pouch, taste good and are appetizing in their appearance. I wished I had made more dinners from it - I was hoping to make a tuna noodle Alfredo, but it just didn't happen. There are many flavored tunas on the market now that make for a more flavorful sandwich without the necessity of sourcing and packing additional ingredients. I would recommend Safe Catch diversify their offerings to make it easier for people to make a "turnkey" lunch. This might dilute their purity claims a bit, but if done with quality ingredients I think this would make the product easier to consume. Thanks to BackpackGearTest.org and Safe Catch for the opportunity to contribute to this test.